Pistis Sophia is a Gnostic text discovered in 1773, possibly written between the 3rd and 4th centuries AD. The existing manuscript, which some scholars place in the late 4th century, relates one Gnostic group's teachings of the transfigured Jesus to the assembled disciples (including his mother Mary, Mary Magdalene, and Martha). In this text, the risen Jesus had spent eleven years speaking with his disciples, teaching them only the lower mysteries. After eleven years, he receives his true garment and is able to reveal the higher mysteries revered by this group. Sounds like I'm still in trouble. 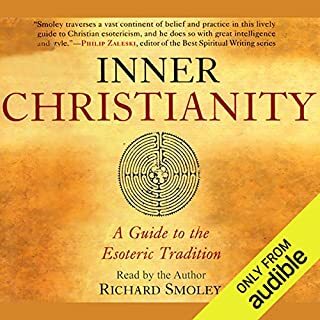 Definitively read by author Richard Smoley, this audio version of Inner Christianity brings a clear understanding to the listener of the complex universe of esoteric knowledge. Topics include esoteric orders past and present, inner traditions, Sophia and Mary, and Gnosticism, as well as well as the mystical body of Christ. In a book that took eight years to research and write, leading Bible scholar Bart D. Ehrman explores how an apocalyptic prophet from the backwaters of rural Galilee crucified for crimes against the state came to be thought of as equal with the one God Almighty Creator of all things. Ehrman sketches Jesus's transformation from a human prophet to the Son of God exalted to divine status at his resurrection. Only when some of Jesus's followers had visions of him after his death - alive again - did anyone come to think that he, the prophet from Galilee, had become God. The evolution of the Sacred Worship of Sophia, Mary Magdalene, and Mother Mary are traced through the Gnostic Scriptures. Sophia would come to be considered a force or conduit of the Holy Spirit, in part due to the fact that the Holy Spirit was also considered a feminine and creative force from the Supreme God. As the emerging orthodox church became more and more oppressive to women, later even labeling them "occasions of sin", the Gnostics countered by raising women to equal status. Gnosticism, one of the most fascinating and perplexing phenomena in Western religious history, sparked religious ideologies that competed with many other religions of the time, including the theological thinking that came to define Christianity. And, though the emerging Orthodox Church eventually condemned Gnosticism as heretical, the church formed many of its most central doctrines (such as original sin, the Immaculate Conception, and even the concept of heresy) in response to Gnostic ideas. This fascinating 24-lecture course is a richly detailed guide to the theology, sacred writings, rituals, and outstanding human figures of the Gnostic movements. What we call "Gnosticism" comprised a number of related religious ideologies and movements, all of which sought "gnosis," or immediate, direct, and intimate knowledge of God. The Gnostics had many scriptures, but unlike the holy texts of other religions, Gnostic scriptures were often modified over time. Gnostic cosmology was extraordinarily intricate and multidimensional, but religious myth was simply a means to the ultimate end of gnosis. Follow Gnostic ideology and its vivid impact on Western thought through the centuries, from its role in early religions and its re-emergence in medieval spirituality to its remarkable traces in modern popular culture, from science fiction novels like Blade Runner to Hollywood films like The Matrix. In delving into the paths of gnosis, you'll discover a compelling, alternative current of religious practice in the West, and reveal Gnostic influence resonating in Western spirituality even in the present day. 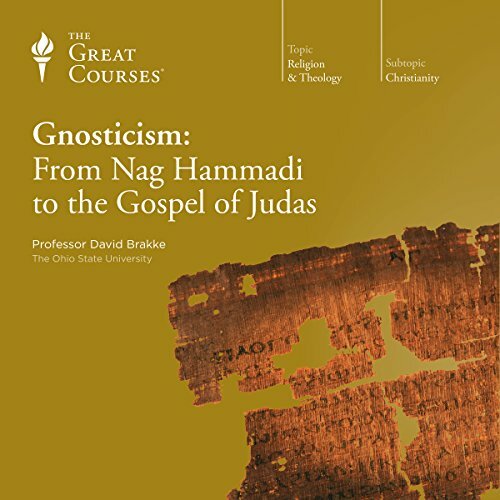 The most important insight I gained from Prof David Brakke’s “Gnosticism: From Nag Hammadi to the Gospel of Judas” is that without Christianity’s fling with ancient Gnosticism the concept of the Trinity of God might not have come to full realisation. In the course he doesn’t say it, but when you think about it, it seems highly probable. Though for most part Prof Brakke’s lectures follows the standard format of introducing Gnosticism in all its varieties, his contextualisation in the last two lectures, brought a different dimension to what one usually can expect of such courses. For that I commend this course series. When listening to the lectures you will be introduced to Irenaeus, an early heresy hunter and church father. You will learn something of what other scholars calls “Sethian/Classic” Gnosticism (which includes their myth and an overview of the Gospel of Judas). You will also hear about Valentinus and Valentinian Christianity; the famed Gospel of Thomas and its relation to Gnosticism; the unifying teachings of Mani and Manichaeism; non-Christian Gnosis like devotion to Hermes Trismegistus and you will be given an overview of the beliefs of the Mandaeans. At the end Gnostic ideas will be linked to popular culture and films, such as The Matrix trilogy and Blade Runner. Prof. Brakke has a way of breaking down difficult concepts and myths in congestible parts through succinct summaries. This facilitates easy understanding. Some of the lectures build on each other. At the end of the course you will understand the basic structure of various related Gnostic traditions. I think the name of the course is a bit of a misnomer. Prof. Brakke doesn’t end with “The Gospel of Judas” but deals with it quite early on in the lecture series. Maybe the series should also have been called “Gnosticisms” as Prof. Brakke is of the opinion that only Sethian Gnosticism is true Gnosticism. He is not part of the older school that used Gnosticism as an umbrella term. 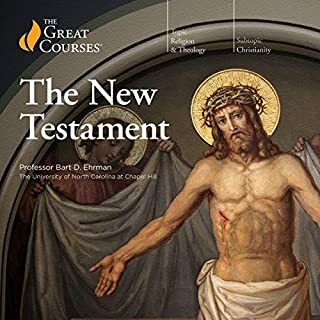 This aside, if you want to know what ancient Gnosticism is all about, why it was seen as heretical in the early Christian Church and what it entails, then this course is for you. An excellent presentation of an oft-referenced but rarely understood collection of documents, subjects, and groups known by the catch-all term "gnostic". 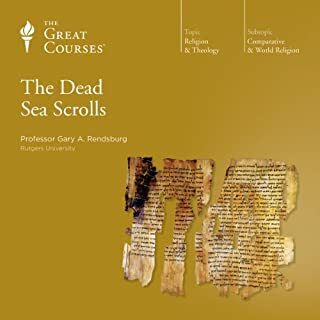 Professor Brakke provides overviews and analyses of the documents discovered at Nag Hammadi (and other finds) to illuminate and distinguish the diverse, rich traditions which produced them. He demonstrates an impressive level of expertise regarding the historical, philosophical, and spiritual backgrounds of each document and each tradition. He also provides a refreshing perspective on what happened to these groups, how they influenced faiths and concepts both ancient and modern, and how they might have developed from their unique cultural settings. Highly recommended! 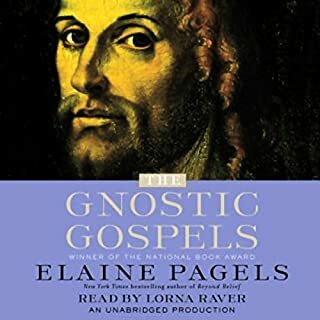 Where does Gnosticism: From Nag Hammadi to the Gospel of Judas rank among all the audiobooks you’ve listened to so far? I have listened to several Great Courses lectures, and this is one of the best. Prof. Brakke does a great job of blending in his presentation of Gnostic "materials" with Bible passages and his interpretation of what both could mean -- depending on who's doing the interpretation. What was one of the most memorable moments of Gnosticism: From Nag Hammadi to the Gospel of Judas? His discussion of some of the lesser known "books" was very informative. Which character – as performed by Professor David Brakke – was your favorite? Not really applicable. He seems to be genuinely interested and even fascinated by the material he has run across. It was so interesting, I hated to reach the end. I was truly excited to listen to this course. I’ve always had large interest in Gnosticism, Hermetics, and the Mysteries and I’ve learned how important having an open mind is when one learns about them. While the information herein is good, it’s presented with a heavy academic bias; the kind that thinks we know more about the ancients than the ancients themselves. This viewpoint is counterproductive, unhealthy, and downright arrogant. The people that created such complex and poetic cosmologies deserve more than to be treated like children who just didn’t know better. These people were not primitives. In fact, the mystery schools of old (of which includes Gnostic Christianity) dealt with extremely complex issues relevant today; such as the nature of reality and the human mind. These courses are completely devoid of the reasons why these schools no longer exist. The author/narrator presents the reason for this as a loss of interest or because of the emergence of more logical forms of religion (i.e. the orthodox churches formed around the middle of the first millennium, Islam, etc.). This, however, could not be further from the truth. The Gnostics and Hermetists were violently persecuted into spiritual submission for purely political purposes under the guise of religious conquest. If one needs a solid introduction to Gnostic philosophies, this is an excellent course. That being said, further research is needed to truly understand the Gnostic mindset and why they believed the things they wrote about. These schools did not exist in a vacuum and cultural, political, and historical context is necessary to understand them. Unfortunately there’s not enough of this within these lectures. I enjoyed this course. The material was presented clearly and objectively. I liked the way the presenter handled opinions and concepts with which he disagreed, fairly and in a balanced way. He also made it clear when he was stating opinion rather than fact. Excellent research, well documented, and well presented. The topic of Gnosticism is very complex due to the sophisticated myths and beliefs associated with it. The author does a great job in explaining these myths and in relating them to their historical context. Even though Gnosticism is not an easy topic, partially because of the lost knowledge about it, and partially because it challenges mainstream beliefs, the author explains it all in an interesting way. Excellent course and information into a mostly invisible area of theology. Well researched and presented in a thoughtful and professional manner. 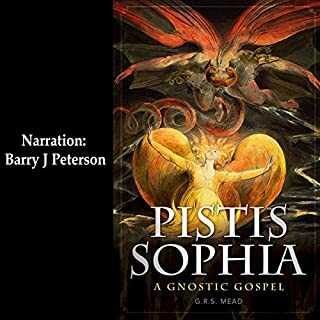 Would you listen to Gnosticism: From Nag Hammadi to the Gospel of Judas again? Why? As a PhD in Theology, who gets questions on Gnosticism, I found this comprehensive study excellent. Many years ago the topic perhaps got a couple of pages in a New Tetament introduction, today it s a subject attracting courses from many perspectives. The scope and depth of the lectures.the discussion on the views of the Alternative Christianity school(s) of thought. I found this lecture series to be of much interest. The depth was perfect for myself, someone who had some familiarity with gnosticism through articles, videos and podcasts, but not an academic level of knowledge. If you have taken a course on gnosticism before, you might not learn much more. If you haven't, then this is a superb introduction. I was appreciative that a number of related topics were covered here: Valentinus, Irenaeus, Mani, Cathars, Augustine. 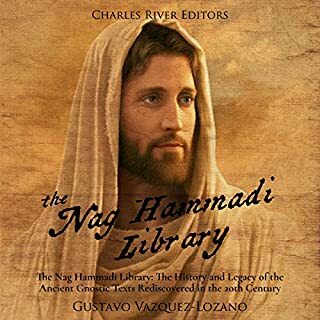 I might have enjoyed more references to nag hammadi texts. Absolutely outstanding book! I learned a lot from this! And I loved the authors voice! Thought this was a very clear analysis of very complex ideas. Well done. Going to give it a second listen a lot to take in, but very good, makes me want to look more in ancient philosophy! I really enjoyed this course and made my way through all the lectures quite quickly. Before listen I felt I had a good general understanding of the topic, but having gone through it I realised just how little I did actually know. A great overview of the topic that will give you a good understanding of all the elements involved. what a thoroughly enjoyable course. Prof. Brakke made this hard to put down. Loved it! I listened to it all three times. Thoroughly enjoyed it. Well structured and insightful. Highly recommended. Thoroughly enjoyed this. I realize that it is a difficult subject to present, however, I found it easy to listen to & somewhat humerous at times. The many differing beliefs with all of their differing myth presentations was shared in an easy to understand pathway of the soul. The essence being that we are here to obtain 'gnosis' or hidden knowledge for the soul to escape this material world & using the easy to understand material of this Great Course of Gnosis -maybe we will. .
A first step for anyone who wants to look beyond the curtain of our lives & our purpose which jesus tried to convey. ..